With a few notable exceptions, sociological studies of poor, native-born, non-ethnic whites in rural areas are rare. This book corrects this oversight with an ethnographic study of a small, poor, white, heartland community that the author calls "Potter Addition." The community consists of some 100 families and is located on the rural-urban fringe of a medium-sized Midwestern city. 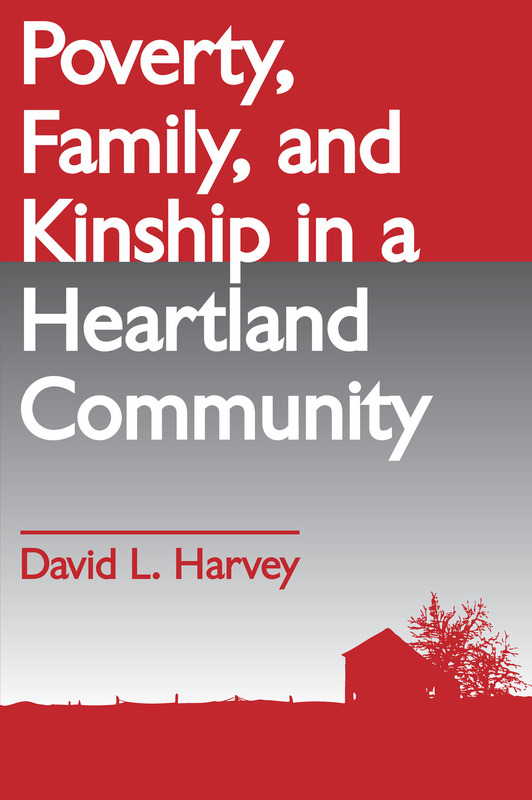 Poverty, Family, and Kinship in a Heartland Community is the story of three generations of rural families who, one after another, have been driven from the land during the last seventy-five years. Harvey argues against the grain of a number of recent studies that "Potter Addition's" poverty, like much modern poverty, has its origins in the productive contradictions of late capitalism. It is not the result of some moral or motivational defect of the poor themselves. At the same time he shows, even as they struggle to survive their uncertain niche and learn how to adapt, these families play an active role in reproducing the everyday material and cultural details of their poverty from the substance of their daily experiences. Working from this premise, Harvey provides a detailed ethnographic description of "Potter Addition" and its people. The volume focuses especially on the family and kinship structures that have developed in "Potter Addition" and shows how they fit into the overall response of the poor to their uncertain and unpredictable class situation. This is a unique effort by a knowledgeable researcher who, in this work, boldly steps outside conventional realms of discourse in sociology and geography.